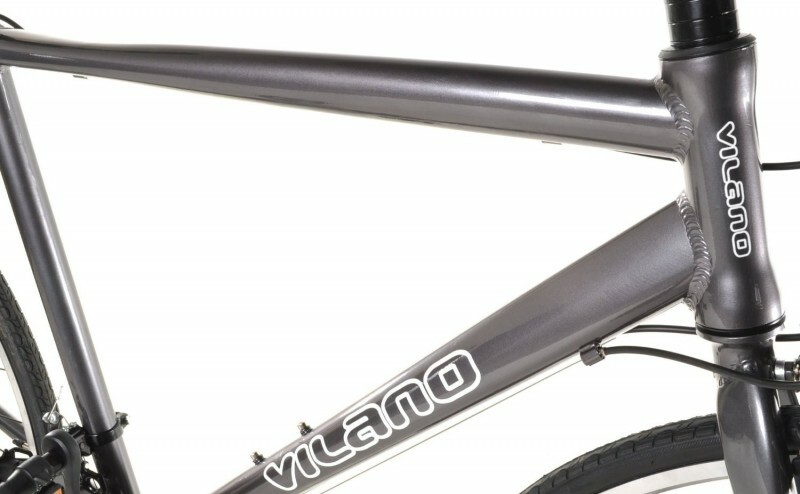 The Vilano Aluminum 21 Speed Shimano Road Bike is an affordable entry level, 21 speed cycle and one of Vilano’s best sellers. This bike features a lightweight aluminum frame and a Shimano drivetrain with A050 handlebar mounted shifters. This bike is complete with free pedals and weighs much less than all other road bikes out there of a similar caliber. In fact, it is the lightest in it’s class. 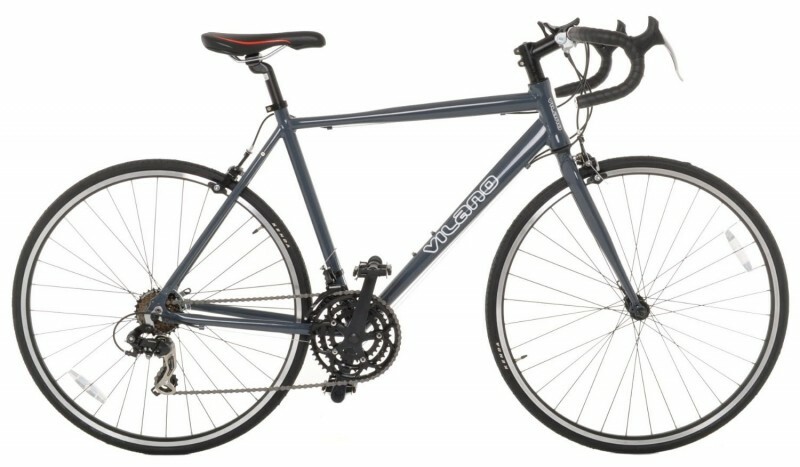 As one of the most popular bikes by Vilano, the Aluminum 21 Speed Shimano Road Bike is a frequently purchased bike for entry level riders and those on a budget who want a decent cycle for the road for fitness, leisure riding, commuting, and other types of cycling. This model is the lightest in its class, with the frame made from 6061 Double Butted Aluminum, which provides strength and fantastic lightweight for easy hauling. With 700c x 25c tires and Shimano derailleurs, this 21 speed is made for urban road comfort and fitness. Each bike is under 25 lbs in weight. The overall look is aesthetically pleasing for any and every rider–the solid color schemes are great looking and designed well. This bike was designed with the urban rider in mind and all of the different environments and uses they will find to ride in. There are many positive aspects of this Vilano model. 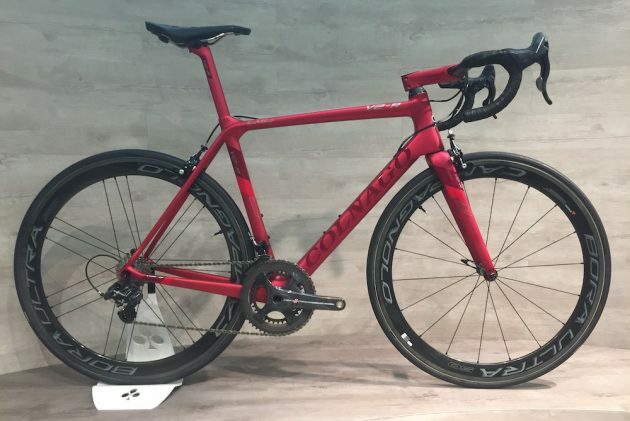 The Vilano company has certainly stepped up their quality with this bike, which is great for beginners who want a reasonably priced bike with component parts that can take some damage as they learn to ride and train. One of the best parts of this bike is the weight. 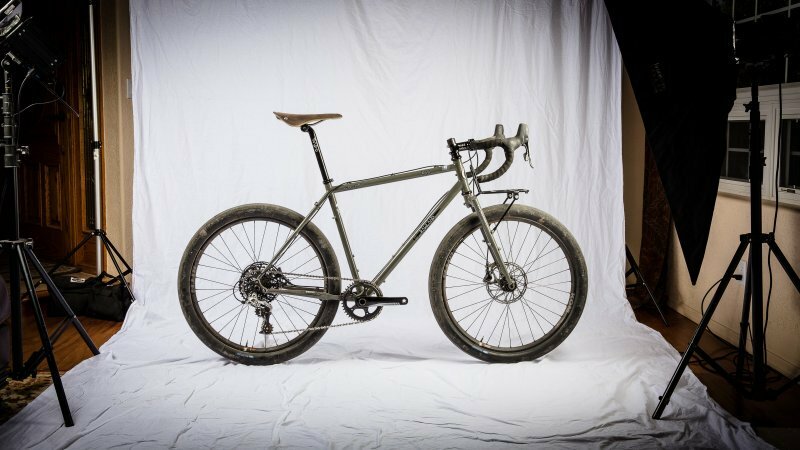 It is the lightest weight bike in its class and is made of double butted aluminum. You can get used to this bike first before moving on to a heavier bike later on. The Shimano A050 Shifters are solid, nearly flawless, and handles very well. 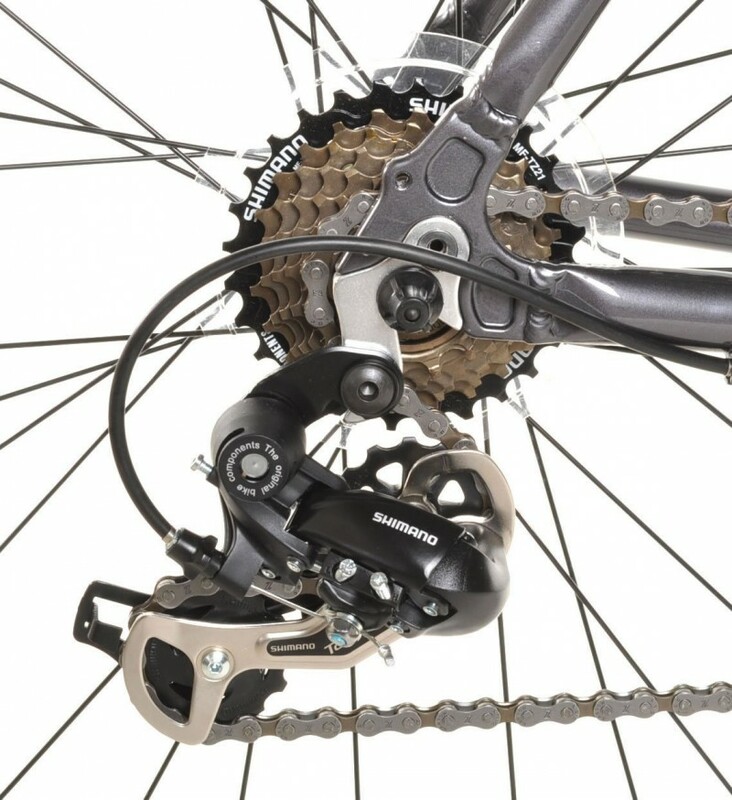 The shifting will make going uphill a lot easier as well as making for a much smoother ride. As with most Vilano and budget road bikes, the tires are pretty terrible. They are of very poor quality, and while okay for leisurely rides, you should invest in getting new tires put on for the best performance and longevity. 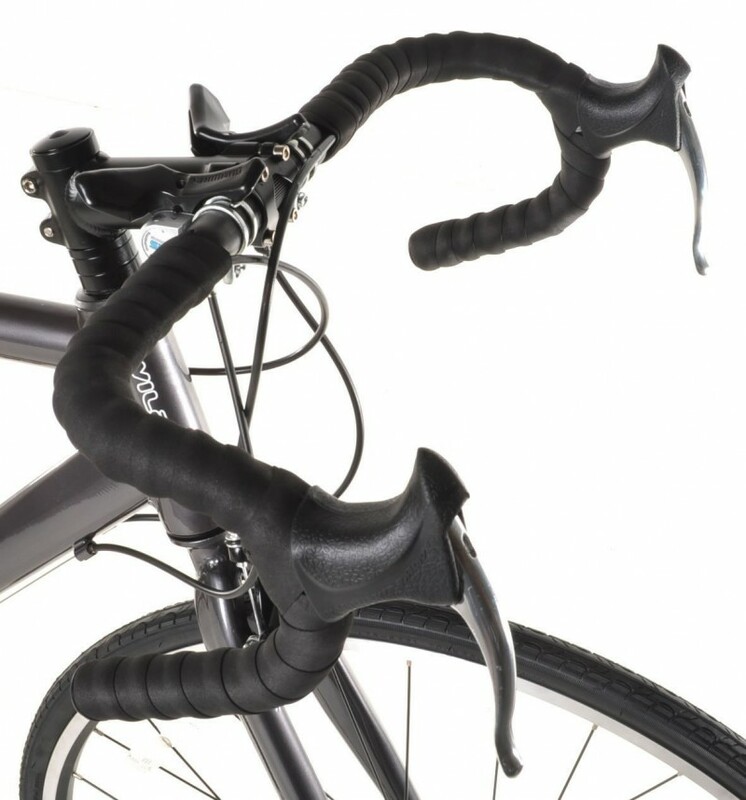 The handle bar tape can also become easily undone. The shifters are not integrated with the brakes. It is common to have integrated shifters due to the convenience, as most bikers prefer it this way. However, in this model, while the shifters work well in changing gears, you sometimes have to take special care to ensure the gear has changed correctly. The gear shift levers are not comfortable for some riders to reach–some can only reach them with their fingertips. Some users have had issues with badly adjusted brakes. This is a problem that can be fixed with calibration and professional assembly at your local bike shop, which is recommended before taking any bike out on the road. It is worth the money. The highlights of this Vilano model are: the frame, the shifters, and the design. The double butted Aluminum frame is both strong and the lightest weight in its class. 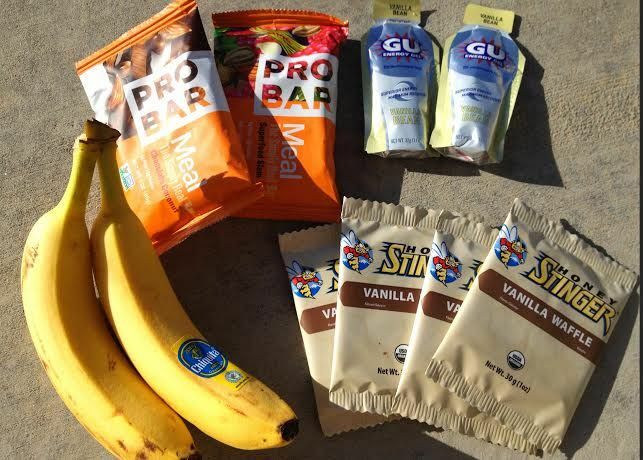 This is perfect for beginners and novice bike riders. The Shimano shifters, while not integrated like other road bikes, are great and shift the gears with ease. The design is very attractive and comes in three different colors and sizes. As far as functionality is concerned, this model by Vilano has more pros than cons. The negatives are the tires, brake adjustment, and the small fact that the shifters are not integrated, the last of which is merely a personal preference. In all, this bike functions pretty well for the reasonable price. If you replace the tires, you should have a great bike that will last you hundreds or thousands of miles. 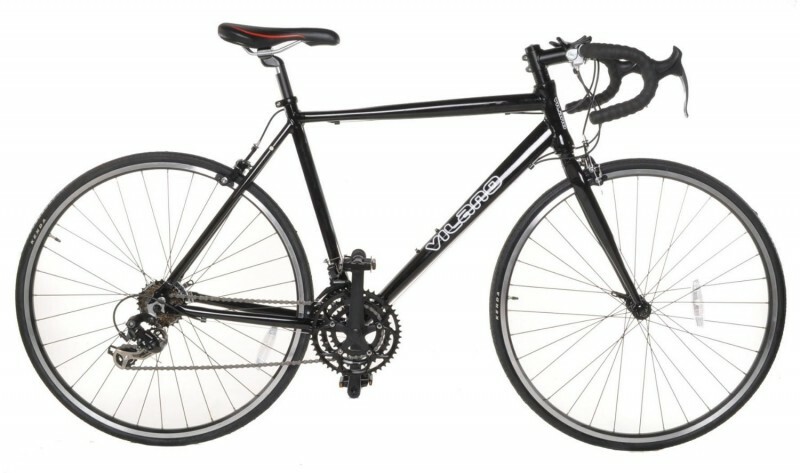 Vilano picked up their quality on this model road bike, and this makes it a desirable model. It is economical, lightweight, and easy to train on for novice riders. The Vilano Aluminum Road Bike 21 Speed Shimano can be found on Amazon.com for between $249 to $290, depending on the size and color you choose. To see a review of the Vilano Shadow with STI Integrated Shifters, another popular bike model by this manufacturer, click here to check out our recommendations and see photos. Some models by Vilano have been less than impressive in the past, however this model has shown that the company has really stepped up their quality and are competing with their competitors more seriously. This has shown in the fact that this model has quickly taken its place in the Top 5 most popular Road Bikes on Amazon.com. As it sits, this bike is recommended for entry level riders and those who wish to purchase and economical bike with pretty decent component parts. To see a full list of reviews of various bike brands and models, click here to visit our homepage.